Adam Klocek studied in Cologne and in Berlin in B. Pergamenschikov’s class. He is the winner of international competitions, among others in Cologne, Munich and New York. He plays the cello constructed by Antonio Stradivari in 1717. The artist released three records and recorded for TV and radio stations throughout Europe. He gives many concerts in European countries as well as in Asia and America. He was invited as a guest to a cello symposium in Essen with participation of Mścisław Rostropowicz. 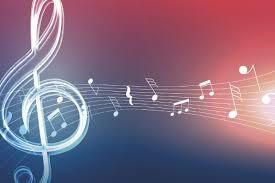 The artist’s position on international music market was confirmed by putting his name on the prestigious list “Ten Top Cellists 2000” published by the magazine “Bow&String”. Adam Klocek is also a prominent conductor. 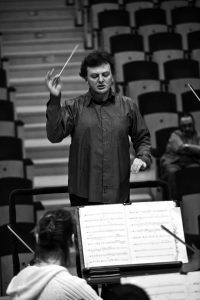 Nowadays he is General Manager and Chief – conductor of the Kalisz Philharmonic Orchestra (Poland). The orchestra under his baton won a Grammy Award in 2014. He is also Artistic Manager and conductor of Czestochowa Philharmonic orchestra – Poland and guest-conductor of many orchestras all over the world. 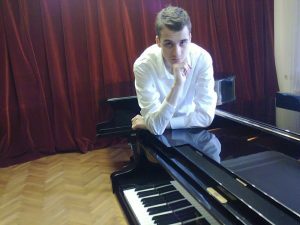 Education – in 2014 he graduated the National School of Music “Lyubomir Pipkov” with a professional qualification certificate and in 2018 he received his Bachelor’s degree in the class of Prof. Iliya Chernaev – instructor at the National Music Academy “Pancho Vladigerov” Sofia; he is currently a student at the National Music Academy “Pancho Vladigerov” Sofia – Master’s course of studies in piano in the class of Prof. Iliya Chernaev Ph.D. and 1-st Master’s course of studies in cembalo in the class of Prof. Mariya Krasteva Ph.D., Instrumental Faculty. – Master classes – Prof. Marcus Prause; Prof. Massimo Gon. First foreign conductor to get such a position in China, Eric Lederhandler was recently appointed as Music Director of the Jiangsu Performing Arts Group Symphony Orchestra (Nanjing). He was born in 1965 in Brussels (Belgium). He studied piano at the Brussels Music Academy. At the Brussels Royal Music Conservatory, he graduated and obtained several diplomas. Eric Lederhandler was laureate of the ‘Wiener Meisterkurse für Dirigenten’ under the leadership of Salvador Mas Conde, conducting the final concert in the ‘Grosser Sendesaal’ of the Austrian Broadcasting Company in Vienna. Eric Lederhandler was principal guest conductor of the Vidin State Philharmonic Orchestra (Bulgaria). He has conducted the Symphonic Orchestra Adana (Turkey), the Noord Nederlands Orkest and the Limburgs Symphonie Orkest (Holland), the Sewanee Festival Orchestra and the Sewanee Symphony (U.S.A.), the Liepaja Symphony Orchestra (Latvia), the Czech Virtuosi (Czech Republic), the Deutsches Kammerorchester (Germany), the Orchestre Régional de L’Ile de France, the Orchestre Bell’Arte, the Orchestre National de Lorraine and the Orchestre Philharmonique de Monte-Carlo (France). 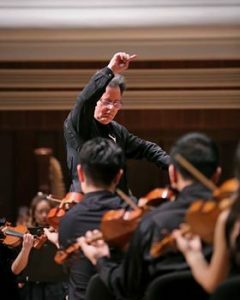 He is also invited in China to conduct the Central Philharmonic Beijing, the Shanghai Symphony Orchestra, the Xiamen Philharmonic Orchestra, the National China Symphony Orchestra, the Jiangsu Symphony Orchestra and the Zhejiang Symphony Orchestra, as well as the Symphonic Orchestras of the Sichuan, Xi’An and Beijing Central Music Conservatories, where he also gives master classes in orchestra conducting. In Belgium he conducts the Ensemble Vocal of the Belgian Radio and Television Company, the Symphonic Orchestra of the Brussels Royal Music Conservatory, the Orchestre Royal de Chambre de Wallonie and the National Orchestra of Belgium. Giulia Buccarella was born in Bari in a family of concert musicians. In 1977 she won the National Competition in Pescara and in 1979 she won the National Competition held from RAI as a young Italian talent. In the same year she was invited to Rome at the Opera Theater as a young prodigy violinist to collect the David di Donatello Award for the famous Italian composer Nino Rota. At the age of 11 she won the Vittorio Veneto National Competition. She graduated at the Santa Cecilia Conservatory of Music in Rome. In 1988 she won the Second Prize at the Valentino Bucchi International Violin Competition in Rome. In 1989 she won the First Prize at the International Chamber Music Competition in Trieste; at the age of 18 she won the third Prize at the International Chamber Music Competition of Monfalcone (Duino) and Second Prize at the International Competition Rodolfo Lipizer Prize. 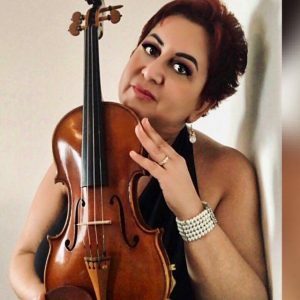 She has a career throughout Europe as a soloist and in a chamber duo with a vast repertoire, performing as well as throughout Italy, Germany, Norway, France, Hungary, Spain, Switzerland, Turkey, Canada, United States, for the most important musical associations and with a large number of concerts every year. She played as a soloist with the Bloomington Symphony Orchestra, European Youth Symphony Orchestra of Belgium, Turkish orchestra of Ankara and Istanbul and German Symphony Orchestra of Göttingen (Germany).